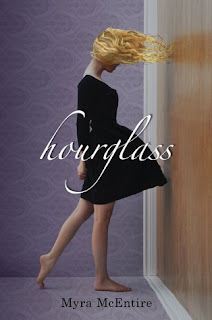 HOURGLASS by Myra McEntire is one of my fave reads of this year--it should be, I blurbed it (in my first blurb evar!). 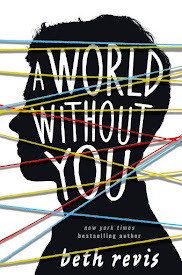 In it, main character Emerson has a troubled past--her parents have died, she was put in a mental institution, and now that she's off her meds, she's seeing things--"ghosts" of the past. But, as she soon discovers, they're not ghosts, and their not hallucinations--they're an indication that she can time travel. After meeting Michael and his organization, the Hourglass, Em must discover the extent of her power before it's too late to stop a murder that never should have happened. Old people tell me that the best time of my life was when I was young. Young people tell me they can't wait to be adults. Me? I think it's pretty sweet right here. Yes, I have adult responsibilities (which reminds me: I should check on my taxes...). Yes, I have to pay bills and clean my own dishes and boring crap like that. But if I want pizza for supper? Done. If I want to take a vacation and go somewhere cool? I can. Being an adult freaking rocks. You can do whatever you want (as long as it's legal) and you're parents can complain, but they can't stop you. By the way, Mom? I totally didn't do the dishes last night. You know what's cool about right now? We have the internet. And honestly, just a few years ago, even though we had it, we didn't own it, not like now. Heck, a few years ago we were still checking out MySpace with Internet Explore. But now? The internet has become this totally accessible, totally present thing that grants us all the information we could ever want at the touch of our fingertips. And it's only going to get better--because the future generations are being raised with a mindset of the accessibility and limitless possibilities of the internet and a global world--we're on the edge of greatness, and that's a cool place to be. 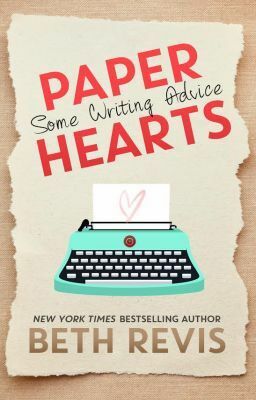 Look, I don't care if you like paper books, ebooks, audiobooks, or what--whatever your preference, it's here. And while there's a million forms of debate out there--Kindle vs. Nook, Kindle & Nook vs. iPad, Kindle & Nook & iPad vs. paper books--the long and the short of it is this: we're in the age of the story. Whatever format you want it in, you're still getting a story, and stories will never go away. Personally? I love 'em all. And I can't wait to see what's next. So, what about you? What's the best part about living in the here and now? If you go to Myra's blog and tell her about your favorite time period in the past, you could win a pre-ordered copy of HOURGLASS. If you blog and/or tweet (use #PPF hashtag--past, present, future) about it, too, you'll get extra entries for her drawing. Remember: while I would LOVE any comments here, to be entered for Myra's drawing of HOURGLASS, you have to comment on HER site. 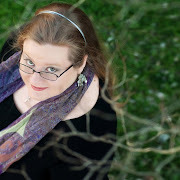 You can read about Saundra's favorite things about the present here. And don't forget: You can enter here for a chance to win all THREE of our books signed! That's two chances to win--one for a grandprize of all three books, one for a pre-ordered copy of HOURGLASS from Myra herself! What I like about living in the present time period is witnessing our first african-american president of the United States. And I'm fairly certain I will be around to see the first woman president! And speaking of kindles, I love mine! I think it is one of the greatest inventions. Who would of thought so many people would be carrying their libraries in their book bag? Sounds like an awesome book. There are so many good ones out there. I definitely love and could not live without the Internet with all the social networking I'm trying to do. For my birthday last year I got it on my cell phone so I can read blogs while I'm sitting in court waiting for my cases to be called. Yeah, I love the Internet. And books. This book sounds so good. Can't wait to read it! And how lucky for her that you blurbed it. Must be awesome!